WE HAVE THE WINNERS !! 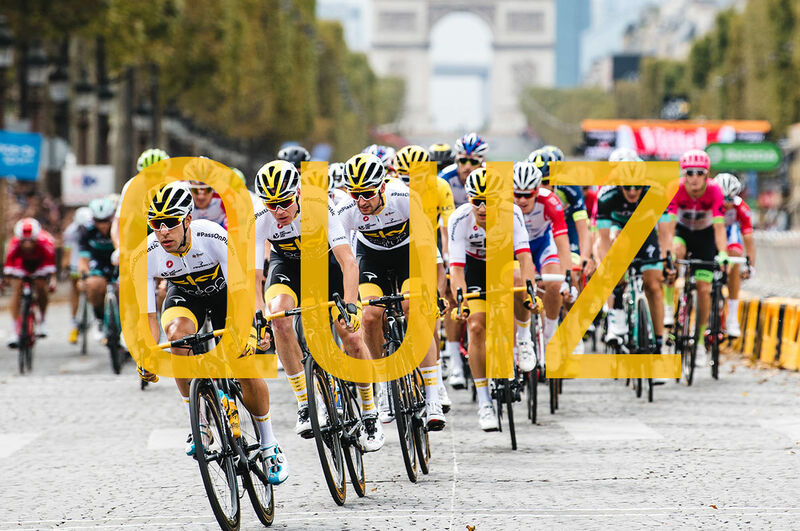 We want to send a big thank you to everyone who participated in the "Tour de France Knowledge" contest and helped make it a success. And a special congratulations to Alberto Gatti, Robert Stalzer, and Nathan Pretlove, the winners of a Team Sky 2018 Tour de France jersey prize. one of three Team Sky 2018 Tour de France jerseys. To celebrate Geraint Thomas’s maiden Grand Tour victory, we have decided to give away three Sky Ocean Rescue kits (jersey, cycling cap, socks). We'll announce the winners on AUGUST 3, 2018. Question 1. (1903) First Tour de France took place in 1903, held over 2,428 kilometers, and split into six stages. Question 2. (100) Geraint Thomas marked another British cycling milestone in Paris - the 100th British yellow jersey in the race's history. Question 4. (19) Henri Come was only 19 years old when he won the Tour in 1904.
and ends at 12:00 p.m. (CET) on August 3, 2018. 6. Winners will be announced on August 4, 2018.